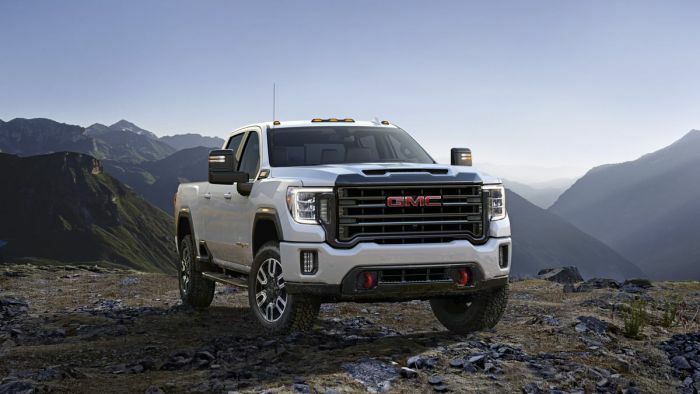 The AT4 version is just one of the 2020 GMC Sierra HD versions that will be available. There will also be a luxurious Denali trim for the truck owner that wants to be surrounded in high-quality leather and comfort. The all-new 2020 Sierra HD is taller and longer than the previous models. They feature class leading headroom and legroom. Improving the trailering experience is a huge part of the new GMC Sierra HD package. The Sierra HD will offer an enhanced ProGrade Trailering system featuring class-leading available 15 camera views, including a segment-first transparent trailer view to virtually see through a trailer in tow. Drivers will be able to get a Rear Camera Mirror that will be the first in the heavy-duty segment. Buyers will also be able to get smart trailer technology that will integrate with the myGMC app so drivers can better monitor the trailer and some of the functions. The 2020 GMC Sierra HD will also offer the versatile tailgate that has been winning awards ever since being introduced on the light-duty Sierra. The MultiPro tailgate, the world’s first six-function tailgate, allows easier loading, unloading and bed access and is available on all trim levels. The 2020 GMC Sierra HD will be powered by the Duramax 6.6L turbo-diesel engine. The Duramax provides 445 horsepower and 910 lb-ft of torque. The Duramax will be paired with a ten-speed automatic transmission. The bigger frame, stronger propulsion and smarter technologies are expected to deliver towing capacity in excess of 30,000 pounds. GMC also says there will be an all-new gasoline engine available, but is not yet announcing those details. The 2020 GMC Sierras will be built at Flint Assembly in Flint, Michigan.